Writing a synopsis of this sounds a bit like summarizing the plot of an episode of every TV crime show ever: SIX TEENS WENT MISSING, BUT ONLY FIVE CAME BACK. Cue the ominous music, the investigators with Serious Thinking Faces, and a wild interrogation or two. But that's not what The Leaving is--or rather, that's not all it is. I felt a bit breathless as I raced toward the end, and then a bit confused by what I encountered. And then I realized that the lack of complete closure is the closest thing to the truth--to real life--that we'll get. Life doesn't tie itself up in a pretty bow; top-notch investigators don't solve all the cases with DNA from a carelessly discarded cigarette [actual plot of an old C.S.I. episode]. 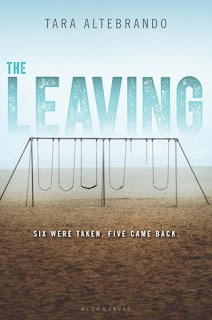 So, anyway, yes, this is a book wherein six teens disappear, but only five come back, but that is not the full story. This is a book of what-ifs and would-have-beens and if-onlys, and how humans deal with all of the angst and regret that comes with roads not taken. This is a book about having the chance to be a new person but regretting, forever, the emptiness left by a forgotten past. It's about childhood and pain and the ugliness of just living. I don't think that there's much I'd want to forget about my childhood. I enjoy talking about it, mostly. Did bad things happen? Of course. When my parents took me outside of a restaurant where I was eating with my best friend and told me my grandma had died, I thought they were joking. I think I even laughed a little, nervously. She couldn't be dead. That wasn't real. When a teacher I despised humiliated me in front of the entire school assembly by calling me a liar and making me apologize for what I had "done" ... I would very much like to forget that. But I was really lucky. Many kids grow up with childhoods full of pain and abuse and fear. We don't like to name what they experience because no child should ever have to endure what they endure. And yet they do. But what if--those tantalizing, tempting words--what if we could raise children who retained no memory of their childhoods. What if they could step into the world, fully formed, without remembering the pain of a broken bone or the loss of a pet or the times when the scales of illusion fell from their eyes? 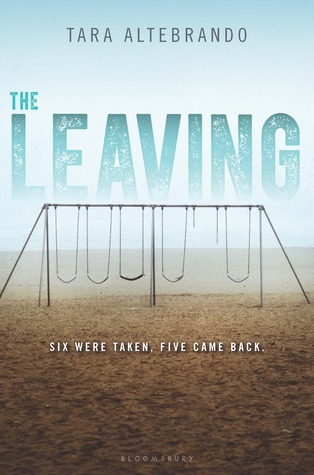 The Leaving shifts viewpoints often, going from two of the Missing kids to the sister of the boy who didn't come back. Altebrando completely twists your mind around and leaves you wondering what just happened. Lucas and Scarlett, two of the Missing/Returned, narrate their awkward attempts to navigate their return, where they are greeted with joy, disbelief, and a good deal of suspicion. Their close-knit Florida community made the news (and Hollywood made a movie) when the kids initially disappeared, but no one really expected them to come back. Families hoped, but police officers moved on. At certain points in the story, I was certain I knew what had happened, but then Altebrando would whip that rug out from underneath me and I'd have to start over. I suspect many readers won't like the ending because it isn't a smash-bang-wow-guns'-a-blazin' happy ending. I thought it fit the book, with its swirling mysteries and patchwork of clues, perfectly. I really enjoyed this one too--of the books I've read from her I think this is Altebrando's most ambitious novel to date. I agree that the ending was . . . quiet but I also loved how it worked and how realistic it was. This is definitely a page-turner that kept me guessing. I'm excited for its release date when more people will be able to read it and talk about all of those twists! I am suuuuper excited to talk to the teens about this one. I honestly had no idea how it was going to turn out.